Are You Babe-Like or Babyish? It is common to hear new Christians described as babes in Christ. This phrase has been used so often, it basically has been accepted as the bible’s description of a new Christian. However, in the scriptures, a new Christian is never exclusively likened to a babe. It is my guess that this language comes from the fact that Christians are “born again” as believers (cf. John 3:3, 7; 1 Peter 1:3, 23). However, as you will see, when babe imagery is employed in the scriptures there is no reference to how long a person had been a Christian. In fact, in the negative usages of babe imagery, the believers under consideration have been Christians for quite some time, they are not new Christians by any stretch of the imagination, they’re long in the tooth so-to-speak. The Biblical language describing a new Christian is rather straightforward calling a new Christian a, “recent convert” (1 Timothy 3:6); or, as in the KJV, “a novice” which actually means newly planted. So if you get right down to it, the scriptures liken new Christians as tender transplants. Where this becomes problematic is when we are seeking to understand what is being taught with the figurative babe language, and its commonly associated counterpart “the milk of the word.” If we import our vocabulary into the biblical text, especially when our vocabulary does not fit the Bible’s word usage, we can totally miss what is being taught. So, as we approach the three passages we will consider, I would encourage you to completely divorce yourself of the idea that the Bible exclusively describes new Christians as babes in Christ, otherwise you are liable to fail to see the points that are being made in the text. Paul explained because the Corinthians had been “fleshly,” or “carnal” (KJV) in their thinking (remember where they came from 1 Corinthians 6:9-11) he had to lower the bar on what he taught them. When he was first with them, he focused more on teaching bible basics, which he called “milk,” instead of more advanced doctrines, which he likened to “solid food” or “meat” (KJV). The problem was not with Paul, but with the Corinthians. Paul was only teaching them what they could handle. Sadly, however, by the time 1 Corinthians was written, the believers there had still not grown in their thinking, they were “still of the flesh” evidenced by the divisions among them. They had not matured in the faith, as they should have. Therefore, Paul still had to feed them with Bible basics, or the “milk,” of the word. From this passage, we learn that being a babe in Christ had nothing to do with being a new Christian per se, but everything to do with how one acts and thinks as a Christian (cf. 1 Corinthians 14:20). Based on this negative usage, a person could have been a Christian for years and years, for decades even, but because of their thinking and actions they would be a babe in Christ, solely living off basic Bible doctrines. Here again is a negative usage of the babe in Christ imagery. You will see that many of the same elements we saw in 1 Corinthians 3:1-3a are present in this one as well. The writer is bemoaning the fact that the Hebrew Christian had become “dull of hearing.” Therefore, they had not matured beyond the “basic principles,” or the “milk,” of God’s word. They should have been sharing Christ with others; instead, they were forgetful and needed to be taught again. They should have been skilled in God’s word; rather, they were “unskilled” babes in Christ. Again, according to the context, in a negative sense, a babe in Christ is one who is unskilled in the word, unable to “distinguish good from evil.” Why, because these believers did not want to be challenged by God’s word, they were content to live off basic bible principles, and nothing more. There is a danger in not maturing as a Christian. Paul said, in Ephesians 4:14, the “babe[i]” is one who is in danger of being “tossed to and fro by waves and carried about by every wind of doctrine, by human cunning, by craftiness in deceitful schemes.” The reason the Hebrews were digressing was because they were babes in Christ. To summarize, according to Paul and the Hebrew writer, to be a babe in Christ is to be: 1) fleshly in one’s thinking and actions, that is, to be focused on earthly things. 2) To be unskilled in the word unable to distinguish good from evil. 3) And finally, a babe in Christ desires to live off basic bible teaching, or “milk of the word”, as opposed to more in-depth teachings, characterized as “solid food”. Frankly, we do not want to be this kind of babe in Christ. We don’t want to be babyish. Before we explore what Peter is saying in the passage, we need to remind ourselves of a couple of points. First, as we noted earlier, we cannot import our own vocabulary into this passage and expect to grasp the truth Peter is teaching. 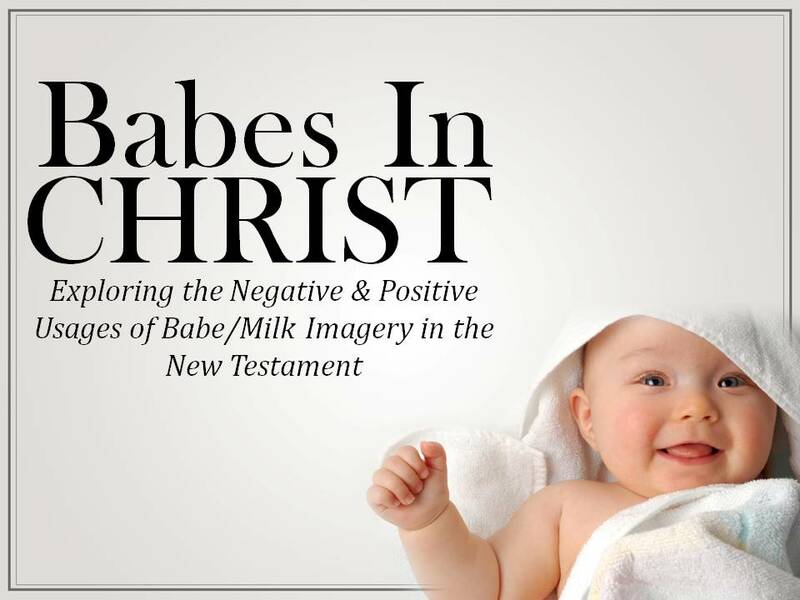 Secondly, we cannot bring our understanding of the babe/milk imagery we explored in 1 Corinthians 3:1-3a and Hebrews 5:11-14 with us to 1 Peter 2:2, because the former were negative usages, which is the opposite of how Peter uses it. The same imagery can be used differently depending on the context and have two opposite meanings. Another example of this would be the use of leaven imagery which was used in the positive sense in Matthew 13:33 but in the negative sense in Matthew 16:6; 1 Corinthians 5:6, and Galatians 5:9. 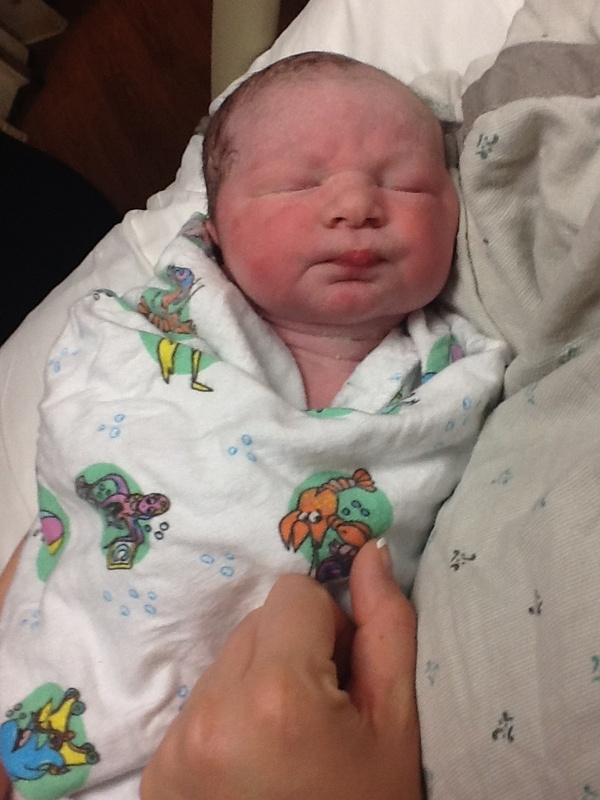 My wife and I welcomed our third child into this world a few days ago. Every two or three hours, I am reminded of the truth of Peter’s statement. All newborn babies crave milk, it is ingrained within the DNA to whine and cry until they get that milk. Peter is saying, I want you as a Christian (and he is talking to all Christians) to “long for,” or “crave” God’s word as a newborn baby craves milk; it is a part of your Christian DNA to crave God’s word. This use is different from our two previous passages we explored. Peter is not saying here his audience is immature Christians or fleshly-minded Christians as in 1 Corinthians 3 or Hebrews 5. Nor, as we said in the previous points, is he calling “milk of the word” the basic principles, rather, he likening all of God’s word to “pure” undiluted “milk.” Continuing the idea, just as a baby needs milk to grow, all Christians need God’s word to “grow up into salvation” or as the CEV says, to “help you grow and be saved.” Thus, Peter is exhorting all Christians, young, old, recent convert, or seasoned saint, to be babe like in their longing for God’s word, just as an infant longs for milk. First, we need to be careful about importing our own vocabulary into the Bible. Let’s allow the context to determine the meaning of a word or phrase, not how we commonly use certain words or phrases. Second, as we noted in the negative usages, sometimes we do not want to be a babe in Christ. While on the other hand, as we noted in the positive usage, we should desire to be like a babe when it comes to craving God’s word. The same imagery can be used two different ways. Third, we have a responsibility to grow in God’s word. We are to crave it like a newborn babe, allowing it transform our thinking and our actions. At the same time, as we learn to use God’s holy word, we should share it with others. If you don’t, you might be a babe in Christ who is 70 years young and that is condemned int he scriptures. One last point, as teachers of God’s word, we have the responsibility of feeding our listeners with the milk of the word, as in Bible basics. But, if that is all we do and we never help them mature (or mature ourselves) by introducing meatier teachings, then all we’re doing is raising a bunch of babies. So, back to our question, Are you babe-like or are you babyish? One is good, the other is not. If I can help your in spiritual journey of maturing in Christ, please email me at clay@claygentry.com. As always, share the good news of Jesus with someone today. [i] “Child” in Ephesians 4:14, is same Greek word translated as “babe” in Hebrews 5:13.